The Addison Summer Concert series is back this year with more free music and the perfect ambiance. Nestled in Addison Circle not far from all the congestion and busyness of Belt Line Road, Addison’s Summer Series manages to draw hundreds each year. 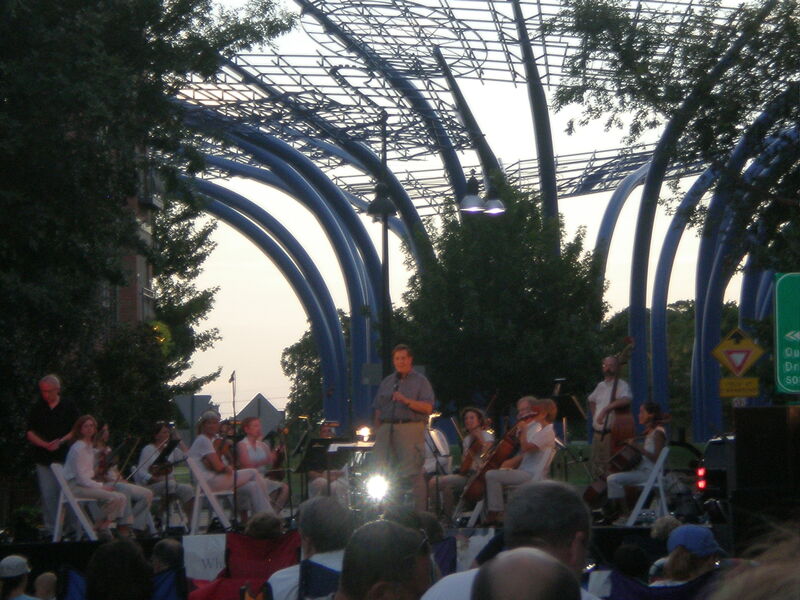 With three months of themed music played by local groups, North Dallas residents have somewhere to run away on Saturday evenings. This month there will be Jazz music played each weekend. The first Saturday started off with Tres Leches and continues July 16th with Melani L. Skybell. Sun sets about 8:30/8:40ish so the temperature will cool down a LITTLE bit, but the trees and shade of the residential and business buildings provide some relief from the sun. Attendees are welcome to bring lawn chairs, blankets, picnic baskets, snacks, drinks, etc. I’ve seen people come out with a full blown low-rise picnic table and extended lawn chairs! The local eateries also sell pizza and other treats while the Margarita station covers your adult drinks. If you’re a fan of Jazz and want to hear some for free or are even looking for a romantic cheap date, try out Bekert Park in Addison Circle on Saturday nights. Once the music has stopped, no one’s forcing you to go anywhere! Enjoy the ambiance, stroll around the rest of Addison Circle or drive down Belt Line Road to see what other fun stuff you can find! This event is going on every Saturday in July. Catch some of the areas top jazz musicians at Addison’s July Jazz!